HOW CHI KUNG CAN OVERCOME CROHN’S DISEASE, OR ANY DISEASE! HEALING ANA TO WALK AGAIN! The next morning Wang Chen Thong with a few students, who were all abled-body youths, went to Guangdong Association. All those present in the association came forward to greet them respectfully. When they arrived at Pure Ball Gate where the lei-tai was located, the place was already full of spectators. On the platform, thunderous drums sounded. Looi Hoong stood in front of the stage and greeted the spectators. He said a few words then sat on a chair to wait for anyone to come up the lei-tai. Wang Chen Thong turned to say to association members who followed him to the lei-tai, “Please wait awhile. Let me take the dog’s life of Looi Hoong so that you all can laugh.” After this, his feet gently tapped on the ground, and he flew up the stage like a swallow. Looi Hoong saw that the challenger was strong like a bull, but had such art of lightness, and he knew that his kungfu is not shallow. Immediately, he placed his two tiger-claws in front of his chest, with their back facing each other, and presented a Shaolin greeting. Seeing this, Looi Hoong knew Wang Chen Thong was a rebel. The Shaolin greeting indicated that Wang Chen Thong was against the Qing Dynasty. Looi Hoong was secretly happy, and he advanced towards his opponent. Looi Hoong used the tactic of arrow punch, with his punch following his step. Right step left punch, and left step right punch, left and right flowing and fast, attacking techniques are agile like rabbits, surprising and marvelous. Wang Chen Thong saw the attacks were ferocious. So he moved step and changed stance, using a thread hand to guard himself, retreating accordingly and warding off accordingly. Although Looi Hoong’s techniques were vicious, he did not have any advantage. Eventually, anger rose from his heart, and evil rose from his gall bladder. Looi Hoong twisted his stance and employed a pattern called “Black Crow Flaps Wings”, diagonally striking Wang Chen Thong with his elbow. Wang Chen Thong sank down his stance and met the elbow attack head-on, using the pattern “Fierce Tiger Pushes Mountain.” There was a loud noise and Looi Hoong was bounced off many feet away. Wang Chen Thong changed his hand techniques according to his steps. He moved forward and changed into a Bow-Arrow Stance, changed his palms into fists, and drove a right punch into the opponent’s chest. Looi Hoong quietly called out “No good”, and jumped back about ten feet. His intention to kill arose, his eyes shone with hatred, he employed leg techniques and looked out for any weakness of his opponent. At first Wang Chen Thong thought it was easy to take Looi Hoong’s life, but now he knew it was difficult. He became anxious, which affected his mind set. Thus his techniques became floating and confused. On the other hand, Looi Hoong’s techniques of yin-yang kicks concealed fatal attacks. When Wang Chen Thong pressed near, Looi Hoong jumped up, and while he was still in the air, his right leg kicked at Wang Chen Thong’s “gate of the brain” (which was located at the back of the head). With an “Aha” sound, Wang Chen Thong was like a fish out of water, and fell down the stage. People from Guangdong Association rushed forward to help. They found Wang Chen Thong amidst some dust, but was breathless. After Wang Chen Thong’s death, Cantonese people were more angry. A lot of people came forward to the lei-tai to meet Looi Hoong, but were all defeated by him. In many days of the lei-tai match, there were more than 20 deaths, and countless people were injured. Besides seeking doctors to aid the injured, Guangdong Association employed monks to recite sutras for the dead. Incense were burnt and the sound of sutra recitation was constantly heard. This entry was posted in Grandmaster Wong Kiew Kit, Kung Fu, kung fu culture, kung fu sparring, legends, Shaolin, Shaolin Wahnam, stories and tagged Grandmaster Wong Kiew Kit, Kung Fu, kung fu culture, kung fu sparring, legends, Shaolin, Shaolin Wahnam, Stories on March 6, 2018 by Wei Joo Lee. 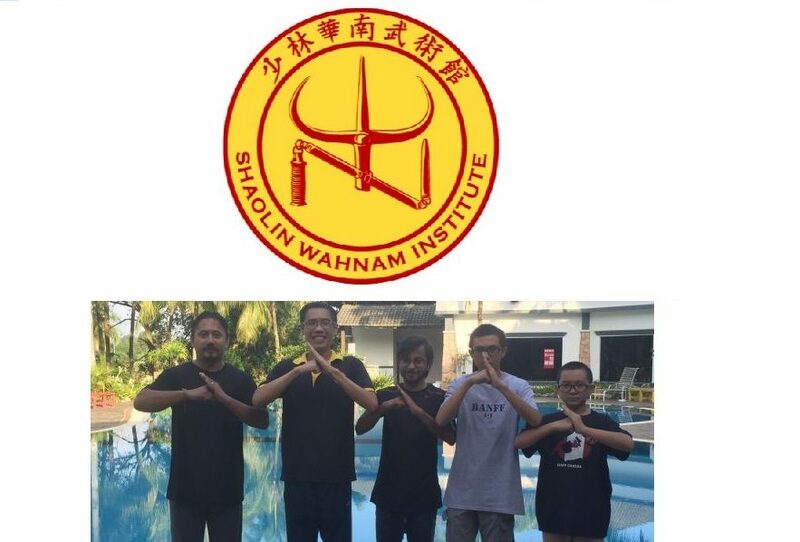 Enter your email address to follow Shaolin Wahnam Kuala Lumpur and receive notifications of new posts by email.